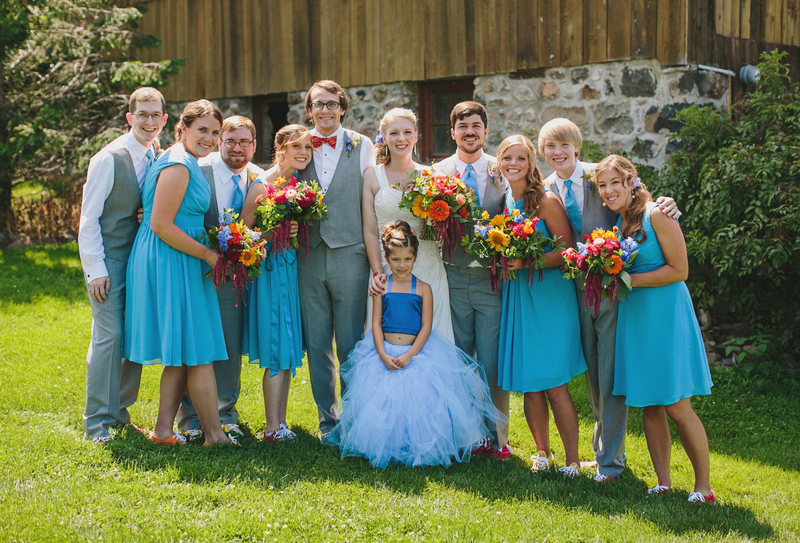 Liz and Dan tied the knot at Misty Farm in Ann Arbor, Michigan. 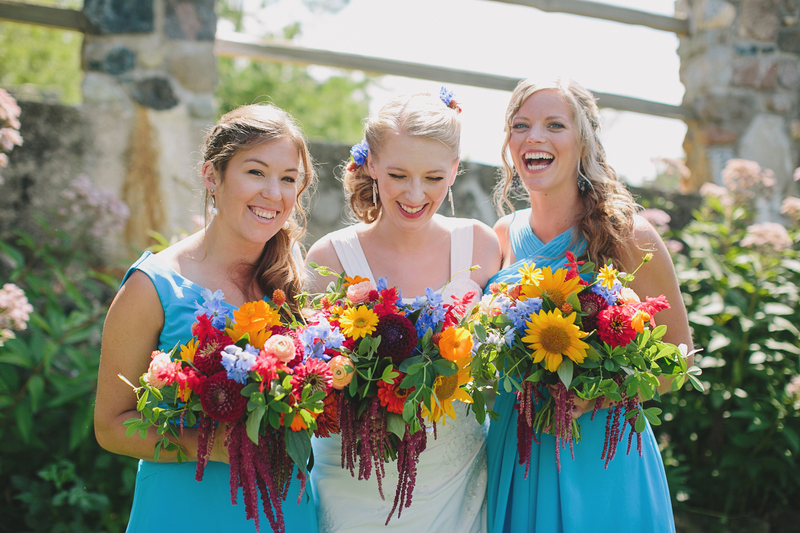 Their wedding featured blue as the main color with red, orange, and yellow accents. 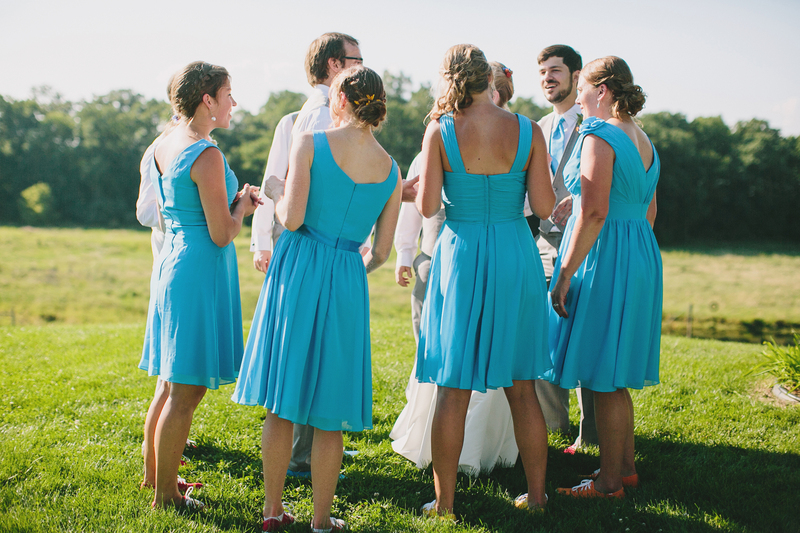 For Liz, an important element of her wedding was that they incorporated local products. The flowers were local and the caterer used local ingredients, on top of serving up a vegetarian menu. Even the beer, wine, and liquor at their wedding was all made in Michigan. The couple made a strong effort to reduce the waste and damaging environmental impact of weddings by going local. 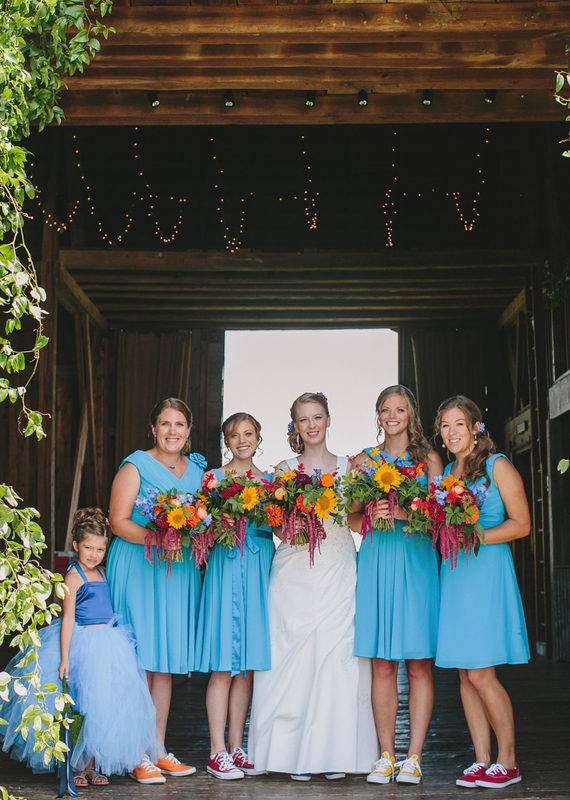 The bridesmaids looked stunning in our Mila, Amani, Kinsley, and Annabella dresses. All photos were taken by E.C. Campbell Photography. Q: What were you looking for in a venue? Q: What’s the story behind your color scheme? Q: What was the most memorable moment for you? Q: Why did you pick Azazie for your bridesmaids dresses?